KOREA: Samsung posts record sales, plans massive investment | What Hi-Fi? And there are plans for its largest ever investment ,and new hirings to create a workforce of 250,000. 2010 sales totalled 153.8tn won (around £88bn), 13% up on 2009, while operating profit rose to 17.3tn won, or almost £10bn. That's almost 60% more than the profits the company made in the previous year, and way ahead of the company's previous profit record of 11tn won, or £6.3bn, set in 2004. What's more, the figures set a new record for Korean companies as a whole, with the company reporting that major factors in its success included rising global demand for semiconductors and LCD panels in the first three quarters of 2010. Huge sales of its smartphones als played a major part: its Galaxy S has already sold over 10m units, with more than 6.5m of those in Europe and North America. And with the arrival of the Galaxy Tab, and sales of the S still accelerating, the company is setting itself a three-year deadline to overtake Nokia and become the world's biggest phone manufacturer. Currently in fourth place in the global phone market, Samsung has already announced an investment in three Chinese factories to boost production, which will account for 60% of the company's mobile phone production. More factories will follow in Vietnam, Brazil and India, with only 14% of production remaining in Korea. Instead, efforts back home will be concentrated on the development of an ever-stronger line-up in the smartphone and premium phone sectors. 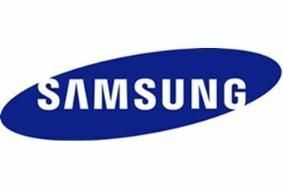 Samsung's total planned investment for 2011 is record 43.1tn won, or almost 25bn: almost £7bn of that will go into R&D, while TV and display-related facilities will receive a similar amount. Interestingly, the same levels of investment will go into LCD panels and OLED – just over £3bn apiece. Staffing will rise by over 10%, to 250,000, as part of a plan to increase the company's dominance in areas such as semiconductors and LCD panels, putting more clear water between itself and the runners-up in those sectors. It also plans to use that investment to establish similar leads in new business areas.